Lithuania is torn apart over what stance to take toward its own gay population. As the country grapples with how much tolerance it will tolerate, it is facing strong pressure from the EU. ­Local deputies have recently voted for the draft law banning “homosexual propaganda”. The European Parliament reacted immediately, lancing those who disapprove of what many see as the agitation of homosexuality in schools and, what is even more surprising, in kindergartens. The struggle escalated in 2009 when the National Association of Parents and Families petitioned the Lithuanian Ministry of Labor and Social Security, complaining about a teaching technique and project called “Gender Loops” that was being introduced in kindergartens. It was a fairy tale called “A King and a King” that triggered the parents’ rage. The summary of the tale is quite unusual: a prince went to see a princess in order to propose to her. But on the way to the princess, the prince saw her brother and fell in love with him, forgetting all about the princess. And the princes lived happily ever after. The tale was illustrated with colorful pictures, drawing the kids’ attention to gender roles.In some European circles, it is believed that such fairy tales help instill in children a tolerance for homosexuality. But Katya Chirkunova, a Moscow psychologist and psychiatrist, told RT that children do not need any special projects and techniques in order to become tolerant. 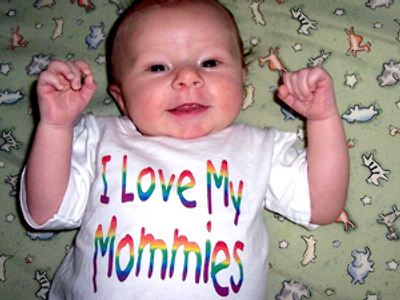 “The kids whose parents demonstrate tolerance toward homosexuals will automatically grow up to be tolerant themselves. Small children will most certainly not be able to perceive such fairy tales correctly,” said Chirkunova. The teachers who were supposed to read “A King and a King” to kids were horrified. They believed they were helping instill in children not tolerance, but rather a “craving” for homosexuality. “Such education causes damage, distorting the fundamental human values, blends the man’s and woman’s gender identities," the Lithuanian Catholic Church wrote in an appeal to the country’s president, chairman of the Seim (Parliament) and prime minister. Olga Malykh, an experienced Russian teacher, believes children must grow up to be tolerant, but that such education should start when they are 10 to 12 years of age. ­The book containing the disputed fairy tale was soon withdrawn from kindergartens. And the consequences followed immediately. The Lithuanian parliament was so shocked by the fairy tale that a law about the defense of minors from “perverse information” was passed in the country, guaranteeing that access to information about homosexuality was limited for children. The law was harshly criticized by the EU, European Parliament deputies and two non-governmental organizations – Amnesty International and Human Rights Watch. The law summarily gutted, and only the item dealing with limiting children’s access to information encouraging sexual intimacy was left intact. The line banning the “public promotion of homosexual or bisexual relations” was withdrawn for good.“Children must have access to any information concerning sexual relations if they are interested in it,” argued one of the co-founders of the Best For magazine. But the withdrawal of the fairy tale did not close the chapter – far from it. 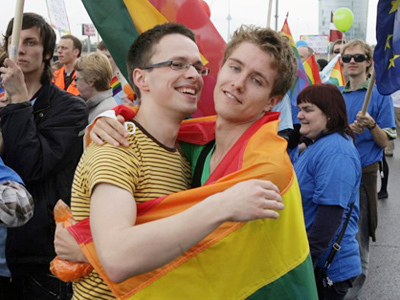 The public cried out against a gay pride parade that was organized in Vilnius on May 8, 2010. City authorities were against the demonstration, but finally the participants got the nod, and the parade was organized, but under tough police supervision. The supervision, however, was not up to the occasion – there were hundreds of people who were willing to force their way toward the demonstrators and throw stones at them, a few politicians included. ­Although Lithuanian society is not particularly open to homosexuality, it has not prevented openly gay men from pursuing careers in public office. One of the Seim deputies, Rocas Zhilinskas, a member of the Foreign Affairs Committee and Europe Committee, makes no secret of his sexual orientation. But Rocas’s colleagues have not lowered their flags. Pyatras Grazhulis, a deputy from the Order and Justice Party, introduced a new law that provided punishment for promoting “homosexual propaganda”. The law involved a $400 fine for what they would deem as propaganda, and immediately triggered a mass protest in Europe. Pyatras, incidentally, was one of those who tried to demonstrate against the gay pride parade in Vilnius. Joe Higgins, an Irish European MP, compared the desire of Lithuanian politicians to fight gay rights promotion to Stalinist purges. And an Austrian European MP, Ulrike Lunazek, reminded her Lithuanian counterparts that all Lithuanian citizens fought for the country’s independence, gays included, so it would be an injustice to restrain their activities today. Political analyst Kirill Koktysh believes the struggle between the EU and Lithuania is not really about tolerance.